Highlights include the call for Expressions of Interest to host PAGES 2021 Open Science and Young Scientists meetings, the call for nominations for our Scientific Steering Committee, new working group and workshop financial support deadlines, ECN updates, recent products, IPCC updates and PAGES at the EGU General Assembly 2019 and INQUA Congress 2019. 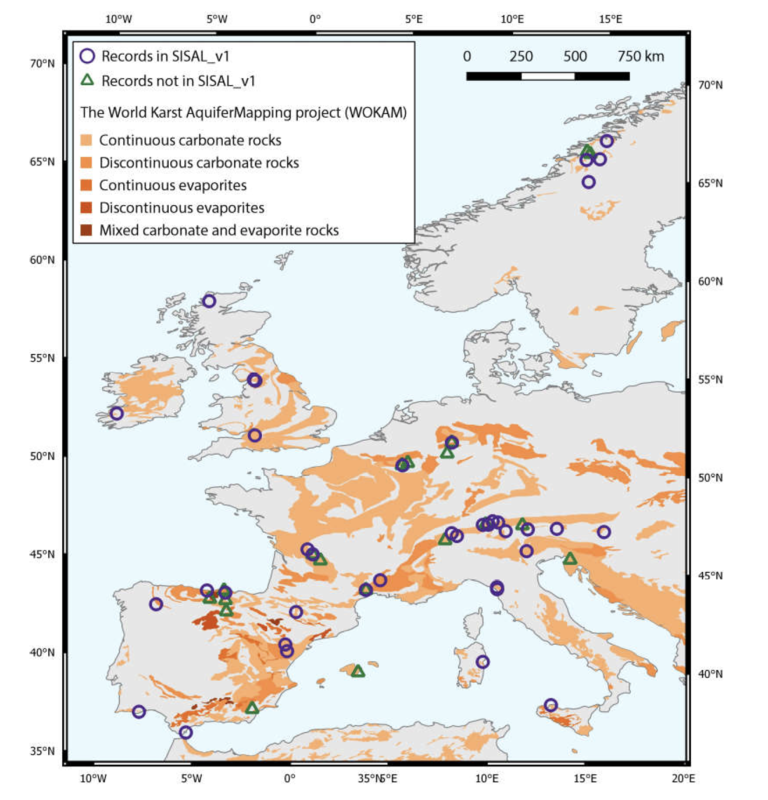 Members of PAGES SISAL working group have a new paper in Quaternary which reviews published Western Europe speleothem records in light of the recent publication of the SISAL database. Franziska Lechleitner et al. investigate how representative the spatial and temporal distribution of the available records is for climate in Western Europe and review potential sites and strategies for future studies. Access the paper "The Potential of Speleothems from Western Europe as Recorders of Regional Climate: A Critical Assessment of the SISAL Database" here. Access the SISAL database and published paper here. Find out more about SISAL and sign up to the mailing list here. A new contribution to the PAGES Early-Career Network blog "The Early Pages" will get you thinking! Maintaining a healthy and fulfilling work-life balance in academia can be hard, and many scientists might need some help to achieve it. The Early Pages asked three researchers to share their advice on how they keep up with their private life while being productive and busy in academia. Read about what Tomi, Maya and Elizabeth think, plus contribute your own experiences in the article comments. 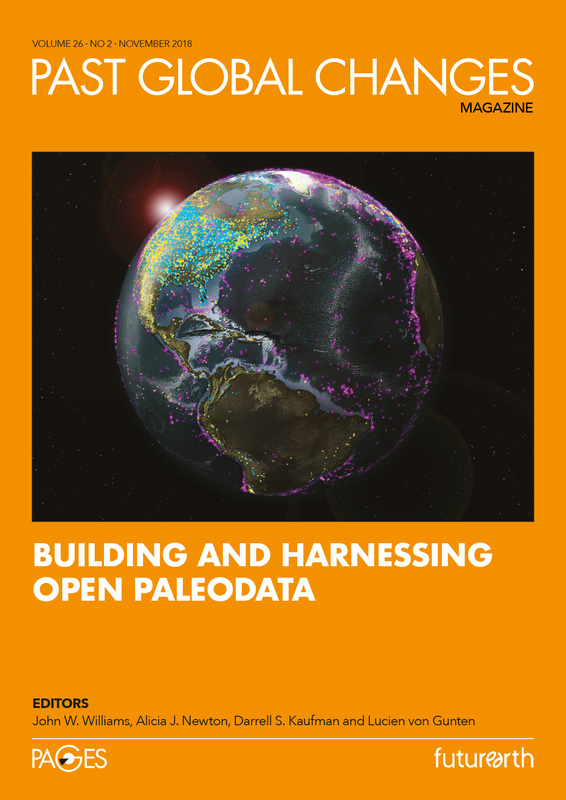 The latest issue of Past Global Changes Magazine, titled "Building and Harnessing Open Paleodata" is now available to read and download. Guest edited by John W. Williams, Alicia J. Newton and Darrell S. Kaufman, this issue showcases the ongoing growth of a rich variety of openly available, globally distributed paleodata. It highlights new scientific, software, funding, and outreach initiatives that harness these open-data resources. Open-data systems are fueling new scientific frontiers, empowering early-career scientists, and enabling the intelligent reuse of data, while encouraging the stewardship of valued data assets. The ultimate goal is to power the next generation of scientists and scientific discovery with an open architecture of scientific data as complex, deep, and interlinked as the Earth system itself.